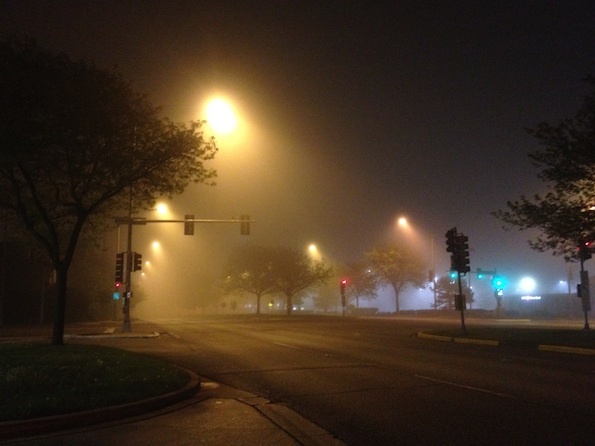 Fog in the area very early Wednesday at Arlington Heights Road and Palatine Road as a warm front pushed north over cold ground in northeast Illinois. Slight tornado risk just west of Arlington Heights and northwest suburbs all the way to northwest Illinois, most of Iowa, and eastern Nebraska. 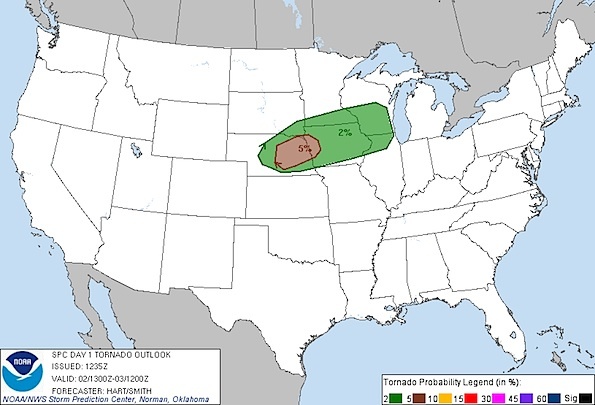 The highest risk is in eastern Nebraska and far western Iowa (valid until 7:00 p.m. May 2,2012). NORTH OF THE INTERSTATE 80 CORRIDOR. .DAYS TWO THROUGH SEVEN…THURSDAY THROUGH TUESDAY. LARGE HAIL AND DAMAGING WIND. SPOTTER ACTIVATION MAY BE NECESSARY THIS AFTERNOON AND OR TONIGHT. The highest chance for rain in Arlington Heights is after 8:00 p.m. Wednesday. 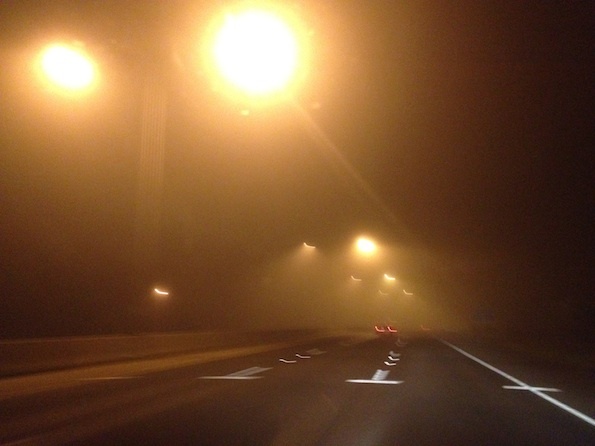 Fog covering northbound Route 53 very early Wednesday, May 2, 2012. 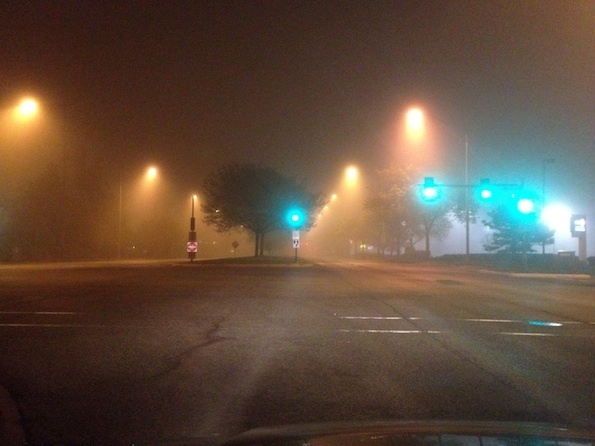 Foggy intersection at eastbound Palatine Road at Arlington Heights Road.